The man left a bag containing a police uniform in a taxi, and the offense was only discovered after the taxi driver turned the bag in to the police. 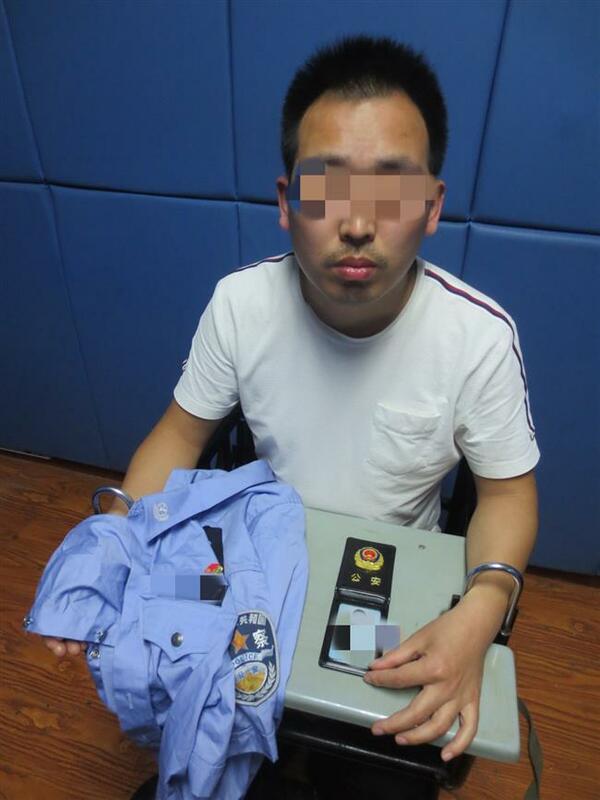 A man in suburban Songjiang District was detained for seven days for possessing a fake police uniform which was found in a bag he accidentally left in a taxi, police said on Monday. The taxi driver turned the bag in to police at Jiuting Police Station, where they spotted the fake blue-colored police uniform inside. With clues from other objects in the bag, police managed to determine the bag owner’s identity. The man, surnamed Jiang, was apprehended at a hotel in the district. Jiang claimed that he bought the fake police uniform and a fake police ID card from the Internet because he is a fan of police equipment, police said. Jiang confesses that he bought the fake police uniform and a fake police ID card from the Internet. Police remind the public that it’s against the law to illegally produce, sell, possess and use police emblems, costumes, ID cards and weapons.